Detailed guide with helpful information on Minnesota fees, requirements, licenses, and formation. Includes resources, FAQs, and downloadable checklist. With over 500,000 small businesses in the state of Minnesota, the North Star State is an attractive option for startups and entrepreneurs. According to a CNBC study, Minnesota is ranked the sixth best state for small business in the U.S. and rates highly for infrastructure, education, and overall quality of life. 1. Create a legal entity. When starting a business, you will need to determine the best structure for your business. Whether you decide to start a sole proprietorship, a corporation, partnership, or limited liability company (LLC), each structure has its own advantages and disadvantages. We recommend consulting an attorney to help you determine which legal entity would be the most suitable option for your business. 2. Register with the Secretary of State. Once you have chosen a business name and a business structure, you can then register your business with the state. You can do this either by mail or electronically via the State of Minnesota website at mblsportal.sos.state.mn.us. Create an online account, select your chosen business structure, and follow the instructions. To register in-person or by mail, click here and select your business type in the left column to download the necessary forms. The cost to file a new business depends on your business structure and ranges from $50.00 to $220.00. 3. Apply for applicable state licenses and taxes. Depending on your type of business, you may need to obtain one or more licenses or permits to operate. Many cities and counties have their own licensing requirements, so be sure to contact your local government office to find out if you need to meet specific local requirements. You can also visit the Minnesota Elicensing site at mn.gov/elicense to learn more about Minnesota business licensing. The website is easy to use and provides information on more than 680 licenses issued by agencies throughout the state. You will need to submit your application by mail or online and pay a fee to be granted a business license/permit. License fees vary according to your business location. 4. Get an Employee Identification Number (EIN). After you have formed a legal entity, you will need to obtain an EIN in order to withhold taxes. You can do so by mail or online via the Internal Revenue Service (IRS) website. If you intend on applying via mail, download the application Form SS-4, fill it out and post it to: Internal Revenue Service, Cincinnati, OH 45999 (Attn: EIN Operation), or fax it to 1 (855) 641-6935. It will take around 4-5 weeks to process your mail application. A faster and easier way to get your EIN is to fill out and submit an online application form at https://sa.www4.irs.gov/modiein/individual/index.jsp, and you'll receive your EIN via email within 24 hours. 5. Apply for a State tax ID number. Many business practices are subject to federal and state income taxes, which means you will need to get a state tax ID. This applies to you if you need to hire employees, sell or lease taxable items and services, provide medical or dental services, file a return or pay estimated business income taxes, etc. If you are unsure about whether your business requires a tax ID, refer to the MN Department of Revenue website at www.revenue.state.mn.us. Business name or Certificate of Assumed Name. Contact number and email address. North American Industry Classification Code (NAICS). 6. Open a business bank account. When opening a business, it is important to open a small business bank account so that you can manage your finances and personal assets separately. To open a business bank account, you will need to provide your Social Security Number or EIN, Articles of Incorporation, as well as your business license. American Bank of the North. 7. Hire employees and report them to the State. All employers are required to report new hires, re-hired staff, and returning-to-work employees to the Minnesota Department of Human Services within 20 days of the date they are hired or return to work. You may file by mail or electronically by going to newhire-reporting.com and filling in the online application form. During the hiring process, you will need to set up payroll for your employees so that you can withhold your share of FICA (Social Security and Medicare taxes), Federal Unemployment Tax (FUTA), and Minnesota Unemployment Tax. To learn more about setting up payroll for your business, be sure to read How to do Payroll: The Ultimate Guide. Before you can pay Minnesota unemployment insurance tax, you will need to register your business with the Minnesota Unemployment Insurance (UI) Program online or via telephone by calling 1 (651) 296-6141. All businesses must register within 10 days after the first wages have been paid out, or if you have acquired, purchased, or leased an existing Minnesota business. As a business owner, you will need to protect your business from any loss, property damage, lawsuits, or other issues that may arise. And if you have employees, by law, you are responsible for providing workers' compensation in case of accidental death or injury of an employee during their employment. How much does it cost to register a business in Minnesota? It costs $50.00 to register a business name and $155.00 to file Articles of Incorporation in the State of Minnesota. How can I register a business in MN? You can register a business in MN by visiting the Secretary of State website at mblsportal.sos.state.mn.us. To file a new business, select your business structure, fill out the form, and pay the registration fee. How much does it cost to start an LLC in Minnesota? The minimum cost to start an LLC in Minnesota is $155.00. Where can I get a Minnesota business license? You can apply for a Minnesota business license online or in-person at your local city or county clerk's office. Are there any specific rules for starting an LLC in Minnesota? 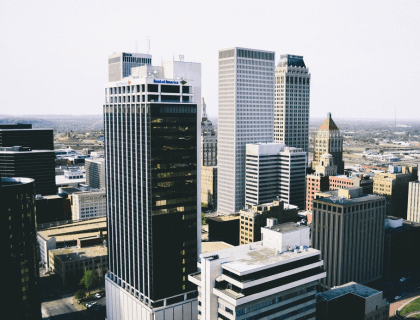 To start an LLC in Minnesota, you will need to assign a registered agent for Service of Process and file Articles of Incorporation with the Secretary of State. If submitted online, the filing fee is $155.00, while the mailing fee is $135.00. What are some Minnesota small business resources? Small Business Connect - Minnesota Chamber of Commerce. 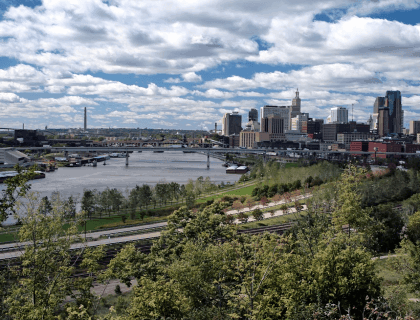 With a wealth of resources and business-friendly regulations, Minnesota offers many opportunities for small business in the famous Twin Cities and outlying areas of the state. 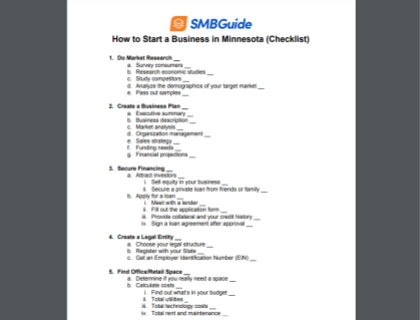 For more on how to start a business in MN, read How to Start a Business.